Imagine my surprise to find out that my article made the cover of one of my two favorite magazines! If you haven’t read The Living Church it is chock full of interesting and deep stuff. 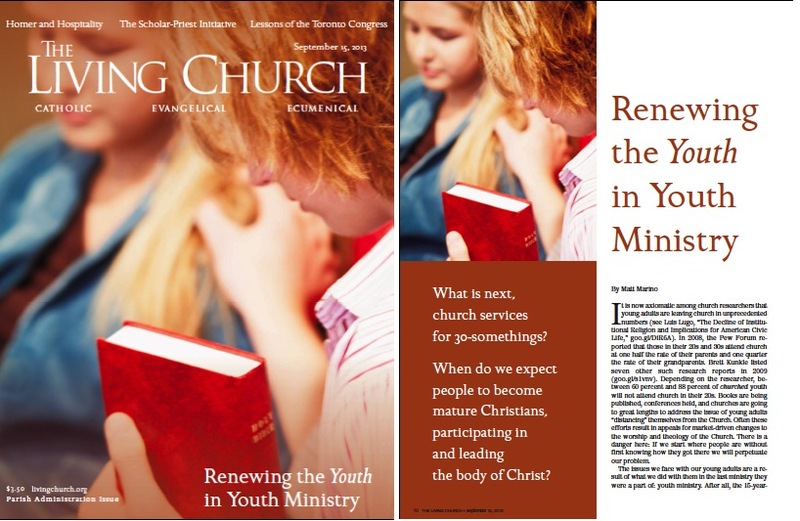 The article is information-rich and offers another view on the young adult exodus from the church not common in the literature. The narrative didn’t make it through the editorial process, so it could be more entertaining, but the ideas have challenged my views and ministry practices. The article is not available to read on this post. I think I may break it up in bite size chunks and post it as a few separate blog posts.